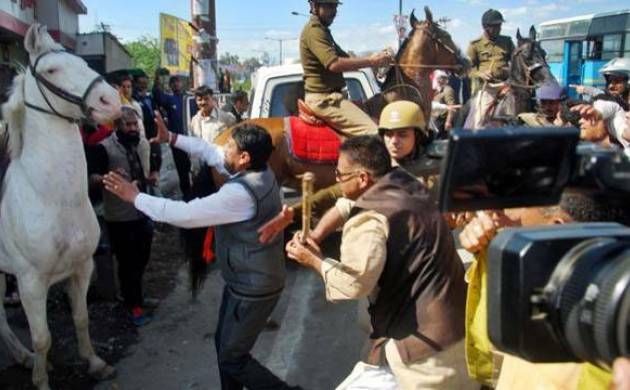 A local court today rejected the bail plea of Uttarakhand BJP MLA Ganesh Joshi, who was sent to 14 days’ judicial custody yesterday, for allegedly attacking and fatally injuring police horse ‘Shaktiman’ during a protest mach. Joshi’s bail application was rejected by Judicial Magistrate Akram Ali, Defence Counsel R S Raghav said. Booked initially under Cruelty to Animals Act, several non-bailable sections of IPC were also slapped against the BJP MLA from Mussuorie in the course of investigations, he said. Non-bailable offences which Joshi has been charged with include stopping government officials from discharging their duties, he said. Raghav said a bail petition on behalf of Joshi will be filed in the sessions court on Monday. Joshi is currently lodged at Shuddhowala jail.